Extreame Savings! 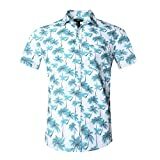 Up to 45% off on Shirts at SCRHI. 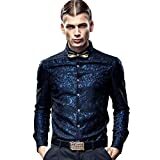 Top brands include Misakia, Alohawears Clothing Company, vkwear, Platoon, PAUL JONES, HOP, SKAVIJ, NUTEXROL, Tom's Ware, RJC, U.S. Polo Assn., FANZHUAN, Luxe Microfiber, LA LEELA, COOFANDY, Formal Shirts, & CUSON. Hurry! Limited time offers. Offers valid only while supplies last. LA LEELA Rayon Camp Button Down Men's Shirt Grey Large | Chest 44" - 48"